Little ones who love to build and create (or just zoom around in a big loud vehicle!) will love our stripy digger t-shirt. 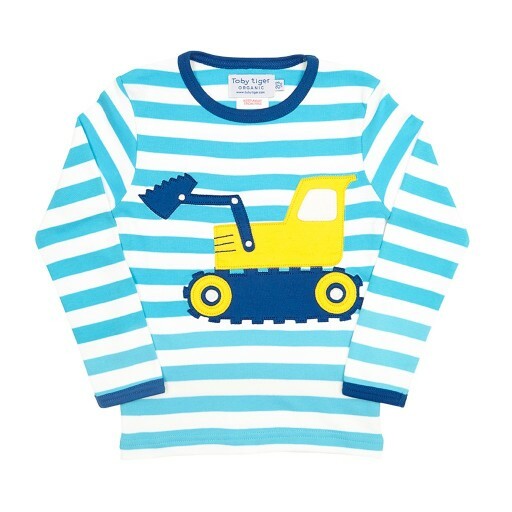 And like a digger itself, piles of dirt are no match for this fab organic kids top - just pop it straight in the wash and it’ll always come out looking great. 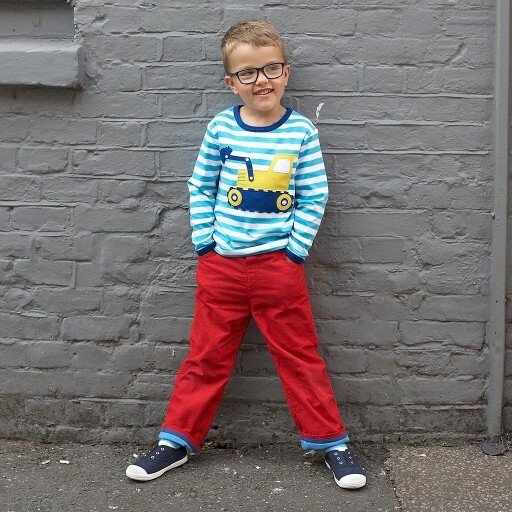 Long sleeves keep you toasty when the weather’s a bit nippy, and the super-soft organic fabric means our digger t-shirt is really comfy and gentle on delicate skin. Suitable for little ones from six months to six years. Sizes 6-12 months and 1-2 years come with extra poppers at the neckline to make changing easier!